Whether you are a doctor, medical or alternative health practitioner or someone who is truly interested in changing some aspect of your life, YOU have come to the right place and it IS the right time. On this site you will discover my passions, my work and my qualifications but most importantly find what YOU are looking for. You can read and see videos of the RESULTS that people have achieved, experiencing dramatic healings of emotional, spiritual and physical issues and empowering them to create new possibilities in their lives. If you are curious about EFT (Emotional Freedom Techniques) or Matrix Re-imprinting (MR), or like me, have a passion of 'self awareness and helping others', then YOU have come to the right place. Perhaps you too have a vision and wish to see it come to fruition. 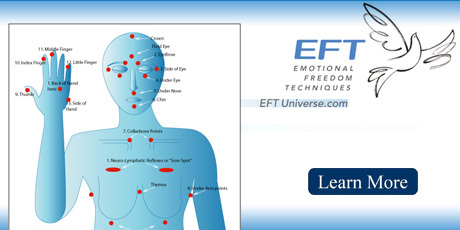 Mine is to see energy medicine techniques such as EFT and Matrix Re-imprinting, be brought into the light of mainstream health and medicine for easier accessibilty to those who require it. My passion is to see EFT and MR readily available to War Veterans who suffer from Post Traumatic Stress Disorder (PTSD) through mainstream Dept of Veterans Affairs PTSD Programs. Enjoy exploring and learning. That's what we humans are here for. 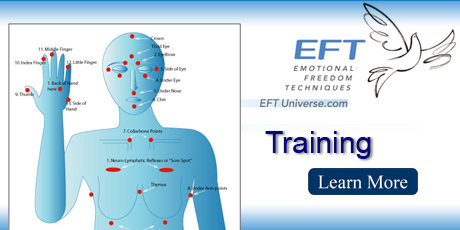 Hear Dawson Church PhD, speaking with Jenny Johnston and other EFT Universe Trainers speaking about Childhood Traumas here. Subscribe to Jenny's Free Newsletter below.